The villagers all died. 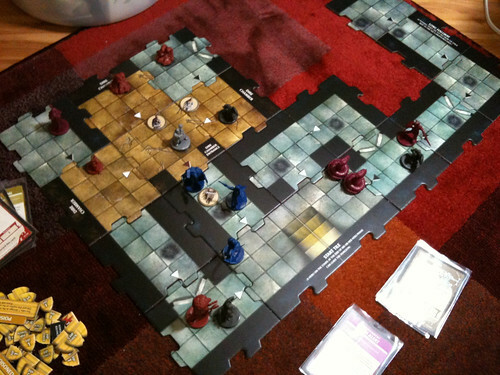 Donnel by punching, Cassi by fleeing, and Alek… well, by trusting the heroes, who were way too quick with opening up dungeon tiles and not taking care of all the monsters that were coming up, resulting in being crammed into a little hallway of death and not even getting into the Dire Prison Chamber. I really admire games where you can sit back afterwards and think about the vast impact certain decisions made on the game, and brainstorm up good strategy/tactics afterward. 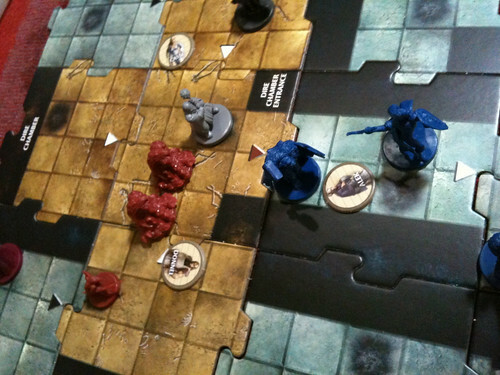 Or adjusting a slider between “explore dungeon” and “kill monsters that keep coming up”. And your skill improves and has an actual effect on how well you do. House rule: While a Villain is active, draw one less Encounter card during your Villain phase, to a minimum of zero Encounter cards. They know you’re there, and they’re all focused on you already. But now, a moment to mourn the villagers. 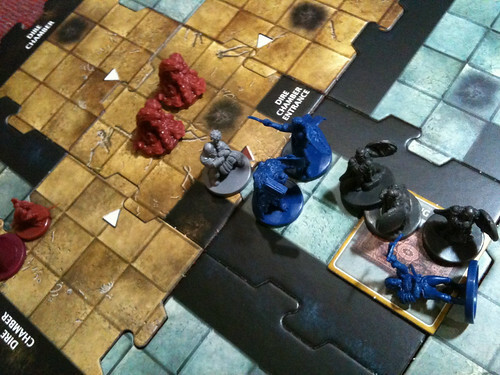 In retrospect, what could have been done was the heroes storming the chamber and then dealing with the other monsters flowing into the hallway as they came up. Then it would have taken longer for everything to go to hell. Oh well. I think I’m WoA’d out for the weekend, but it was fun. I played over ten games of it and it was still fun and challenging. I think next is either Runebound or Z-man Games’ reprint of Tales of the Arabian Nights.